Please contact the facilities to check which activities are offering and their timetables. Regular users told us probably the most important point of swimming is to control your breathing. To get this, our head should really be aligned with our spine all the time. Swimia.com desires your feedback to ensure all the information is valid, given that maybe this pool is no longer open to the public. 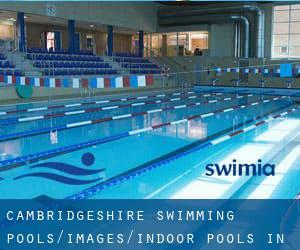 Please check the nearest Indoor Pools in Cambridgeshire or Contact us to ADD IT. It's free of charge! Please have a look to the Swimming Pools swimmers like you may have reported. Is your pool not listed? Contact us to ADD IT. It's no cost! Most with the Indoor Pools in Cambridgeshire offer both open lanes for independent swimming and also guided activities like water aerobics or aquabike. Swimming is usually a excellent idea to keep your body active in the course of your visit to Huntingdon (Cambridgeshire), or even in case you are a local. Swimia helps you to locate your closest Swimming Pool in Huntingdon. It's hard to visit Cambridgeshire without having dropping by Cambridge (with 128.488 residents). 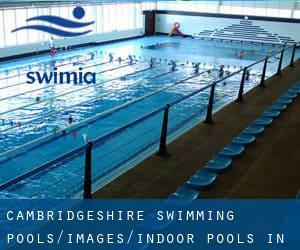 Presently Swimia is showing you all the Swimming Pool in Cambridge and the closest pools situated in its vicinity. Without a shadow of a doubt, swimming in March could be the best solution to unwind right after work. Take a couple of minutes to browse Swimia's catalog to find a Swimming Pool in March. Holding an estimated population of 20.200, Wisbech is among the most important cities in Cambridgeshire. Check all of the Swimming Pool in Wisbech and its surrounding area. 21/25 Coldhams Lane Business Park , Norman Way , Abbey , Cambridge , England , UNITED KINGDOM (Postal Code: CB1 3LH). Among all the activities provided by the center, for anyone who is considering swimming you can take pleasure in 25 meters x 10 meters, Indoors. Just in case you wish to contact this Swimming Pool before dropping by, we only know the phone number. Updated on 2019 Harecroft Road , Wisbech , England , UNITED KINGDOM (Postal Code: PE13 1RL). Among all the activities provided by the center, when you are keen on swimming you will enjoy 25 meters x 10 meters, 5 lanes, 0.9 meters - 2 meters depth, 0.9 meters - 2 meters depth, Indoors. Just in case you want to make contact with this Swimming Pool just before dropping by, we only know the phone number. Sawston Village College , New Road , Sawston , England , UNITED KINGDOM (Postal Code: CB2 4BP). Among all the activities offered by the center, for anybody who is interested in swimming you are going to enjoy 18 meters, 4 lanes, Indoors. If you might want to contact this Swimming Pool, email address and phone number are both number. Bottisham Village College , Lode Road , Bottisham , England , UNITED KINGDOM (Postal Code: CB5 9DL). Among all the activities offered by the center, if you are interested in swimming you might take pleasure in 25 meters x 10 meters, 4 lanes, Indoors. If you might want to get in touch with this Pool, email address and phone number are both number. City Road , March , England , UNITED KINGDOM (Postal Code: PE15 9LT). Swimmers like you reported 25 meters x 12 meters, 6 lanes, 0.9 meters - 1.8 meters depth, 0.9 meters - 1.8 meters depth, Indoors. Unfortunately we do not have the email address of this Pool, but we can give you the phone number. Station Road , Whittlesey , England , UNITED KINGDOM (Postal Code: PE7 1UE). Among all the activities provided by the center, for anyone who is interested in swimming you can delight in 25 meters x 12.5 meters, 6 lanes, Indoors. Just in case you want to get in touch with this Swimming Pool before dropping by, we only know the phone number. Updated on 2019 Newnham Street , Ely , England , UNITED KINGDOM (Postal Code: CB7 4PQ). This sports center offers 25 meters x 8 meters, 4 lanes, 0.9 meters - 1.8 meters depth, 0.9 meters - 1.8 meters depth, Indoors. Contact details for this Swimming Pool including phone number and email address are number. Westwood Road , Saint Ives - Cambridgeshire , England , UNITED KINGDOM (Postal Code: PE27 6WU). Among all the activities provided by the center, in case you are interested in swimming you can enjoy 25 meters x 9 meters, Indoors. Just in case you need to contact this Swimming Pool before dropping by, we only know the phone number. The Moor (Road) , Melbourn , England , UNITED KINGDOM (Postal Code: SG8 6EF). This sports center offers 20 meters, 4 lanes, Indoors. Contact facts for this Swimming Pool which include phone number and email address are number. Green End Road , Sawtry , England , UNITED KINGDOM (Postal Code: PE28 5UY). Among all the activities supplied by the center, when you are considering swimming you will enjoy 25 meters x 8.5 meters, Indoors. If you might want to contact this Swimming Pool, email address and phone number are both number.